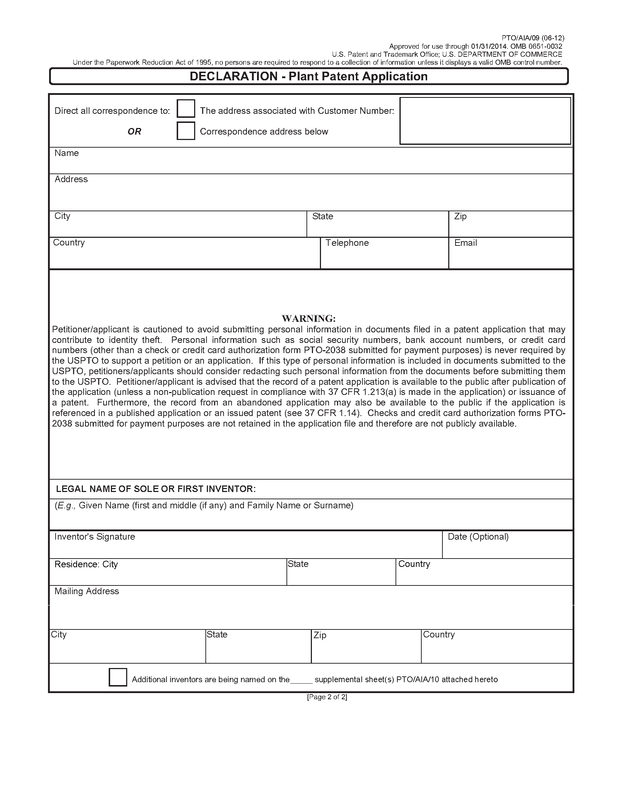 37 CFR 1.162 Applicant, oath or declaration. 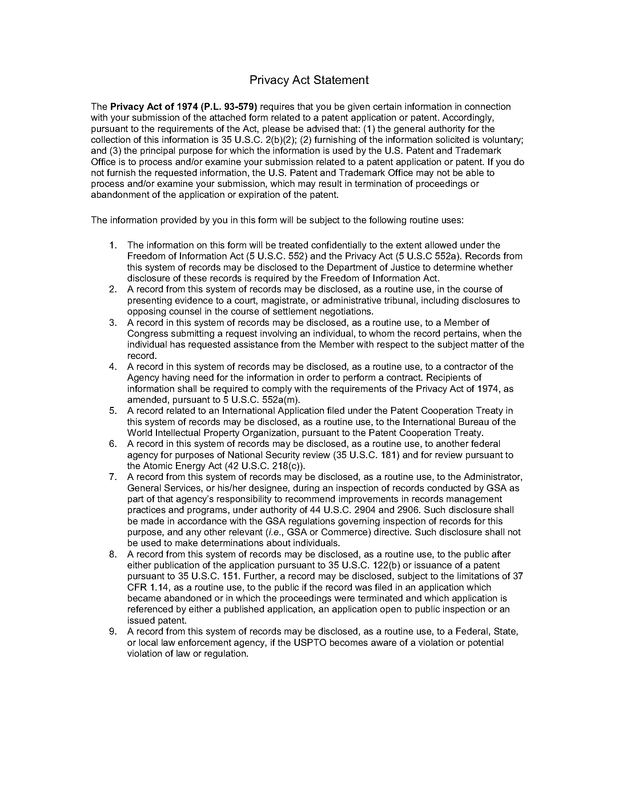 37 CFR 1.162 (pre-AIA). 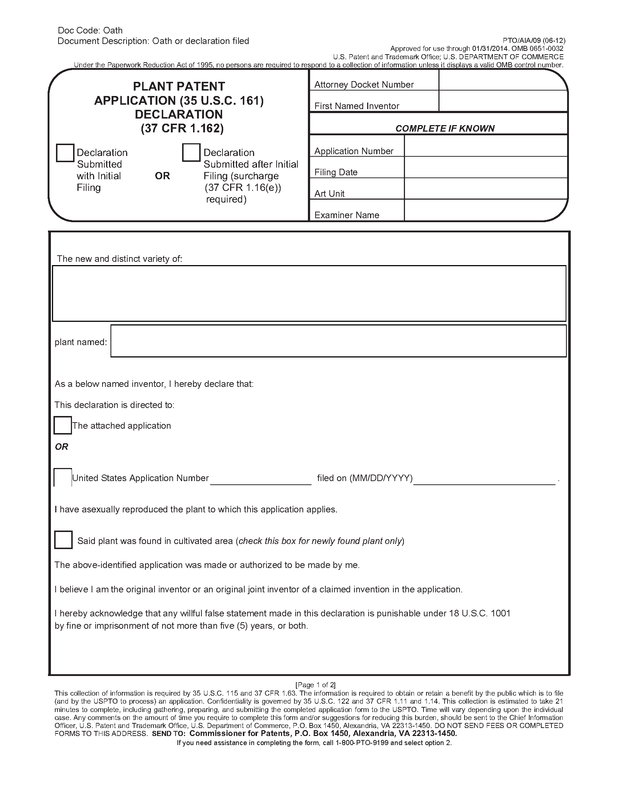 Applicant, oath or declaration. The inventor's oath or declaration, in addition to the averments required by 37 CFR 1.63 or 37 CFR 1.64, (or, for applications filed before September 16, 2012, pre-AIA 37 CFR 1.63) must state that the inventor has asexually reproduced the plant. Where the plant is a newly found plant, the inventor's oath or declaration must also state that it was found in a cultivated area.